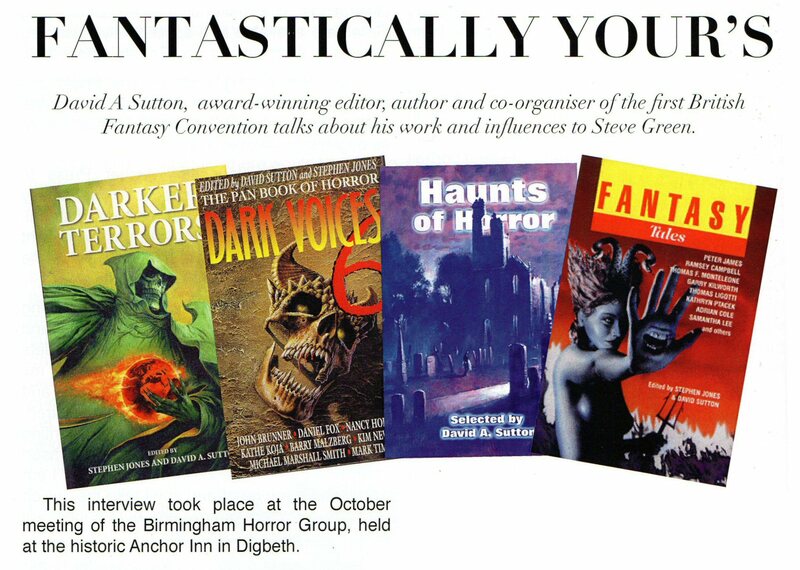 I interviewed the author and editor David Sutton at the October 2016 meeting of the Birmingham Horror Group, the text version of which subsequently appeared in the magazine Fear. 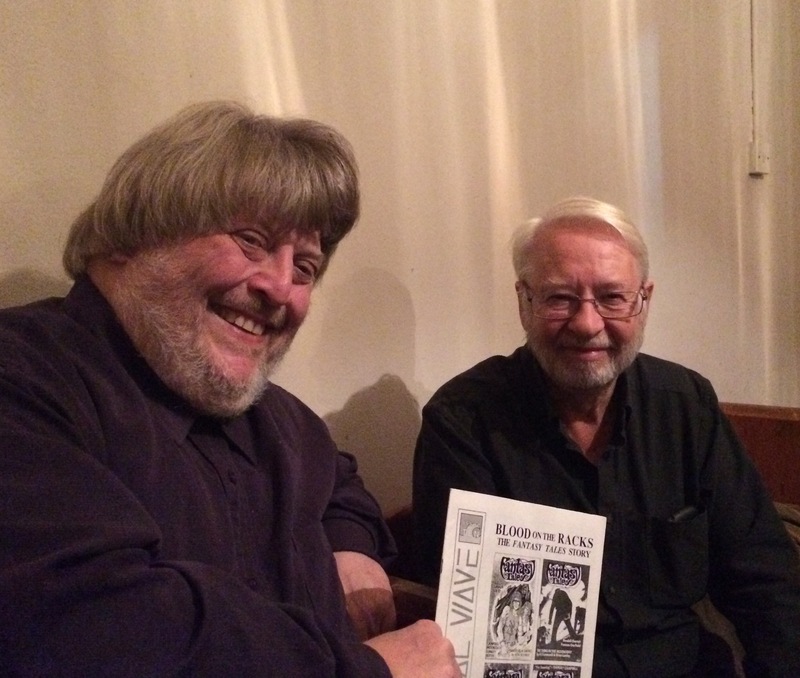 We first met at the third Fantasycon, held at a nearby hotel in February 1977, so we were well familiar with each other’s work (I’m holding a copy of the journal I co-edited, Critical Wave, which carried a feature on Fantasy Tales, the award-winning digest he co-edited). The text version of my recent conversation with former Fantasy Tales co-editor David A Sutton can be found in the thirty-ninth edition of British horror magazine Fear, on sale now.